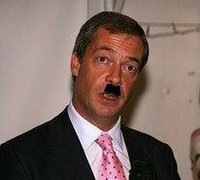 Farage's shame is growing. As well as hiding behind nanny's skirts and leading for parliamentary immunity, it has now emerged that he was not alone in facing the European Parliament's legal affairs committee. 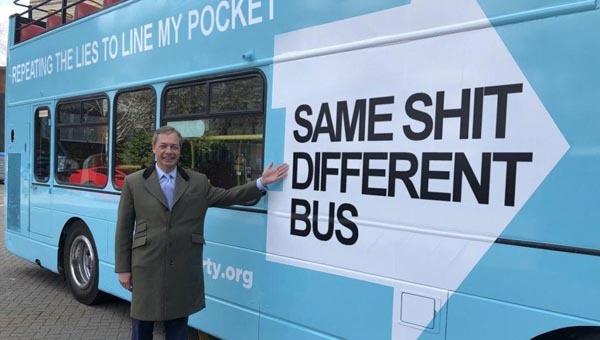 Another transgressor was also pleading for immunity, and stood in front of his peers before Farage. Who was it? It was none other than French fascist Bruno Gollnisch, of Front Nationale. Imagine how disgusting this spectacle was. The holocaust denier and racist Gollnisch, and the spineless Farage, co-president of the far-right EFD group, both pleading for immunity. Neither of them man enough to account for their own words and deeds. UKIP is right about one thing - the European Parliament is home to some pretty disgusting specimens.